"Upon years of reflection, doing is not as important as being. I feel we should be who we really are: Be Love now, this present moment and all present moments. Everything else feels less important, and mostly illusion. Release all self-doubt, go within and feel connected with your Love. This is how we can rise above all that feels negative, to arrive at our destination, our best potential." "Reflection is when we ask ourselves how we are all together going to rise above all the issues that are posed by both the ancient and still ongoing extraterrestrial presence on Earth, and by the state of civilization left for us because of centuries of greedy Earth leadership and their warmongering." Over the coming months, many of you may begin to notice a change in the style in which I report my research. While I will always continue to bring forth scientific and fact-based investigative journalism, I am also going to be applying a pragmatic, holistic higher love-based approach to the study of unusual phenomena like UFOs and contact with extra-terrestrials. While I am sure that many of you who are familiar with my work have been seeing this evolution develop, I suspect that actually affirming this in writing may turn off a number of viewers who are into the more sensational and fear-based aspects of this type of research. But for myself, I see that I am continuing to evolve and gravitate to this love-holistic (spiritual, but in no way religious) approach to scientific inquiry into unusual phenomena. I am continuing to feel that the non-violent, peaceful, love-oriented approach will attract more benevolent beings to accompany us as we move through the near future, whatever that may be. 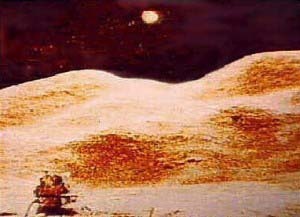 Recently, the UFOHypotheses webpage for the six and one half hour documentary, "S-4 Informers" has been greatly updated, as new images and video links are now offered to assist those who want to explore more deeply the details and significance of this highly interesting case from the life of Wendelle C. Stevens. As well, Under-Appreciated Science Productions was given the privilege of interviewing Linda Moulton Howe at the 2011 International UFO Congress held at the Fort McDowell casino and convention center in February, 2011, and this documentary should be available for viewing in September. Ms. Howe offers some very exciting insight into her career as a UFO researcher, specifics on the Aztec UFO crash case, as well as offering her very interesting views and information on a myriad of modern UFO topics, both scientific and philosophical. 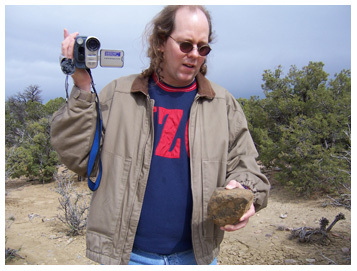 A new UFOHypotheses.com DVD effort has just been released on February 3, 2011, named "A Call To Zuni Youth: Cliffor d Mahooty Volume One," co-produced by Cosmic Chronicles and Under-Appreciated Science Productions, and is available for free viewing on YouTube. This fifty three-minute documentary features Clifford Mahooty, who is a Zuni Elder and member of the New Mexico tribe's Kachina Society. The Kachina Society jealously guards centuries of knowledge of contact between the Zunis with "star beings." Mahooty spent many successful years as a civil engineer, consistently advocating for the Zuni and all Pueblo nations, while dedicating decades of his life to his tribe's spiritual system. "A Call To Zuni Youth" is meant to engage the Pueblo nations, and especially the generations born from 1960 and later, as Mahooty frankly discusses Zuni prophecies, petroglyphs, kachinas, UFOs, aliens, and the passing down of this sacred knowledge and spiritual system to the Zuni youth. 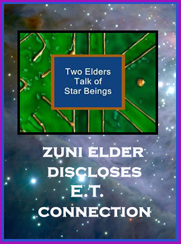 A new UFOHypotheses.com DVD effort has just been released on November 7th, 2010, named "Two Elders Talk of Star Beings," co-produced by Cosmic Chronicles and Under-Appreciated Science Productions. This a sixty-minute documentary was filmed entirely on location in New Mexico on the Zuni reservation. 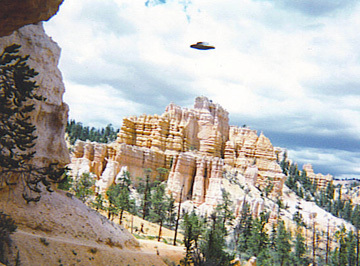 This UFO documentary breaks new ground as two well-respected researchers of the extra-terrestrial contact phenomena, the late Wendelle C. Stevens, a world-famous UFO contact researcher of seven decades, and Zuni elder, Galaxy Medicine Society and Kachina Society member Clifford Mahooty discuss the reality and ramifications of these ongoing contacts between human beings and ET species. This may be some of the most open and frank discussion yet recorded between a native-American elder and and an outside researcher. 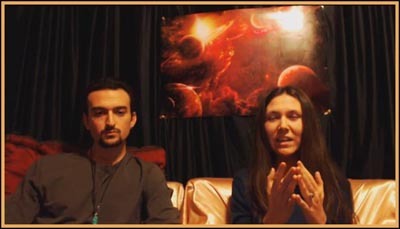 Mahooty and Stevens share a lively conversation as video journalist Rick Keefe interviews the two men on their views and understandings of contact between ETs and human beings, filmed in the land of enchantment. Hi! I am just posting an update here to let any of you who are interested know that I have been working on my philosophy book regularly for over one and a half years now, and it is coming along quite well. The book is about my views on life, love and self-fulfillment. As soon as I complete this book, I will be posting new DVDs with Linda Moulton Howe, Michael Salla, Bob Dean, John Lear, Wendelle Stevens and more from interviews I have done with these very interesting UFO/ET researchers. Also, I have moved most of my news and editorials from the last two years off this main page, and into the pages of interest to which their content most applies. I will still post news here if it really merits attention, like perhaps an update on the growing protest movement across the nation against the Federal Reserve, Wall Street and Banking corruption and control. However, at this stage, my focus has turned more to love, philosophy and healing, in order to continue to attract those types of benevolent beings and energy to our Earth. Mainly, I am focused on a deep look at the subject of life on Earth and love and the higher positive ways. I hope to be finished with my book soon, and then I'll be back to editing over 100 hours of interview footage with Wendelle, and other UFO researchers. But right now, I am putting it all on hold because of the philosophy book which I need for my own utilization. I want a good book I can believe in that makes sense to me. This book is the polar opposite of gloom and doom, and will offset the years of depressing research I did while trying to figure out what the bad guys were trying to do. 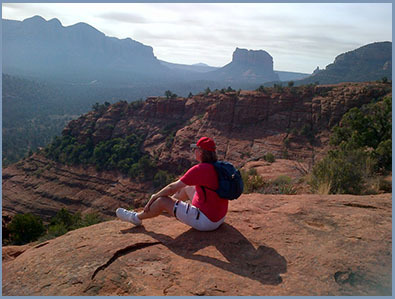 I really have a clear sense for that after all my research, and now I am returning to my original intention, which is to raise my connection to the positive, higher vibrations. Regarding disclosure, the powerful governments will NEVER (0% chance) tell the full truth, because it would be akin to admitting to the crime of genocide on a massive scale. They are so complicit in the terrorization of Earth beings that it would certainly mean their life-long imprisonment if they admitted to their deeds and treaties with the dark, malevolent extra-terrestrials with whom they are aligned. We as Earth beings must come to this realization without waiting for the criminals at the top to admit and 'disclose' their parts in their crimes against humanity. And so for now my direction is to the positive, loving realms. I no longer feel the need to wait for disclosure. I feel that I understand the truth of the situation now, after all the evidence that has been shared with me, publicly and privately. I have tried to share that in the documentaries I have made so far, and given to the public for free. 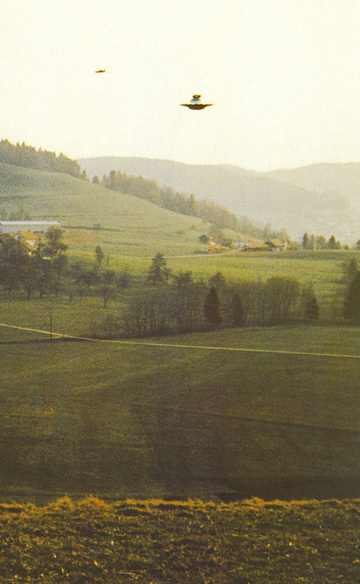 Anyway, that's what I will be doing for awhile, writing about love. Modern People magazine from their June 1975 issue. 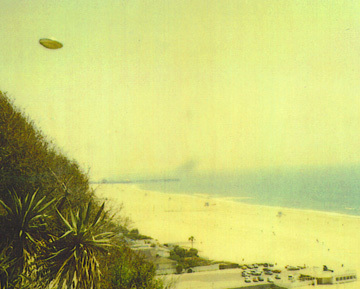 This image is alleged to be one of two photographs taken by Buzz Aldrin on the Apollo 11 mission of UFOs that appeared to be monitoring the Apollo mission crew during their landing and survey mission upon the Moon. With so much evidence indicating the truth that Earth humanity is in contact with extra-terrestrial and higher dimensional beings, the question becomes who is being contacted most frequently by the benevolent E.T.s, how, why, and for what purpose? After a four-year repose, Under-Appreciated Science Productions has returned with this fascinating subject of starseeds and crystal children. This is the eighteenth project in the UFO Hypotheses series, released in July 2014, and is the second volume in a new investigation. 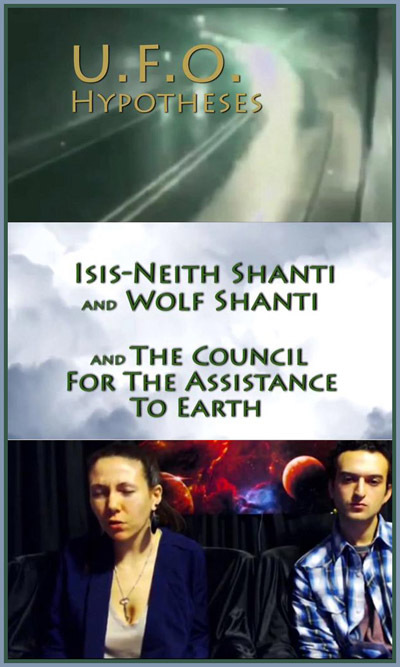 This four-hour video examines the next generation of UFO contact, in which Rick Keefe explores the ongoing contact cases of Isis-Neith Shanti and Wolf Shanti, and their contact with a group of seven extra-terrestrials who form a group called The Council For The Assistance To Earth. This multi-species Council consists of beings of very diverse origins, including Pleiadians, Andromedans, Sirians, Earth Atlanteans, and even beings from an altogether different universe, all gathered together to help uplift the Earth and its inhabitants. 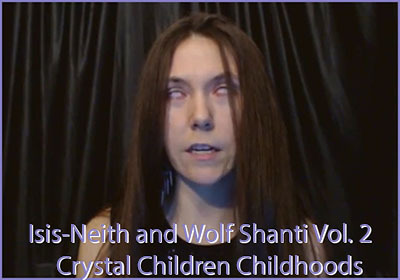 Volume Two, called Crystal Children Childhoods, focuses on and explores the early childhood years and development of Isis-Neith and Wolf, both sharing in great detail their experiences, trials and tribulations of growing up as crystal child. They offer generous and frank testimony, so that other crystal children may understand themselves better by hearing in detail what these two starseeds went through as children. This marks a new direction in the UFO Hypotheses documentary series, as it continue to explore the fascinating subject of UFO and ET Contact with Earth and Earth humanity. With so much evidence indicating the truth that Earth humanity is in contact with extra-terrestrial and higher dimensional beings, the question becomes who is being contacted most frequently by the benevolent E.T.s, how, why, and for what purpose? After a four-year repose, Under-Appreciated Science Productions returns with this fascinating subject of starseeds and crystal children. This is the seventeenth project in the UFO Hypotheses series, created and released in March 2014, and is the first volume in a new investigation. This three-hour video examines the next generation of UFO contact, in which Rick Keefe explores the ongoing contact cases of Isis-Neith Shanti and Wolf Shanti, and their contact with a group of seven extra-terrestrials who form a group called The Council For The Assistance To Earth. This marks a new direction in the UFO Hypotheses documentary series, as it continues to explore the fascinating subject of UFO and ET Contact with Earth and Earth humanity. The Council For The Assistance to Earth. Wolf Shanti introduces the channeling event. The being who speaks during the channeling is named Talia, and her origin is from the Pleiades constellation. She is a representative on the Council, and is sending a message out to Earth human beings who she calls starseeds, and makes a plea for them to connect more greatly with the Earth at this time. I have presented this couple because the written and spoken material that they have presented to the world resonates with me, and I feel this material from this multi-dimensional Council may assist many other people who feel a connection to benevolent life beyond Earth, and who are interested in extra-terrestrial contact cases. In Isis-Neith's case, she has been channeling The Council for nearly ten years, since she was fifteen years old. For more information, visit their YouTube site, or their blog or their website. I feel that their material is certainly worth watching, investigating, and contemplating. Video Evidence: Was the Russian Meteor Exploded by a Missile or UFO? Examine this video which suggests that a separate object caused the explosion of the Chelyabinsk meteorite that injured over 1100 Russian citizens in a city known for its nuclear and chemical waste storage facilities. Another interesting commentary came from the Andromedan galaxy contactee who only refers to himself as Captain Bill, who commented on Feb 16 2013, one day before this video was released: "Pleiadians exploded a great iron meteor over Russia to avoid large area to be destroyed... they will explode some other debris today and tomorrow." Could this have been to protect the people from a meteor hitting a nuclear waste site? On the day much of the world's attention was focused on Asteroid 2012 DA14 which passed close enough between the Earth and the Moon that the asteroid had potential to damage satellites, a separate event involving a meteorite occurred, injuring over one thousand one hundred Russian citizens in Chelyabinsk. 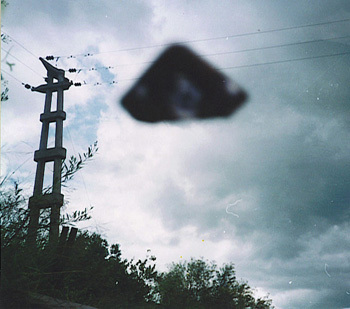 The meteorite is the largest object to hit the Earth since the 1908 Tunguska event. While NASA had everyone's eyes trained on Asteroid 2012 DA14, no warning was ever given about the meteor that ended by exploding and dispersing flaming debris over a 75-mile range near Russia's Ural mountains, and damaged over three thousand buildings in Chelyabinsk, according to Russian emergency officials. The Washington Post reported that official NASA scientists blamed their failure to detect the oncoming meteor because "it was small and the sun was in their eyes," despite resources like the SOHO solar observatory and Stereo A and B space-based observation instruments. Fortunately, no deaths related to this event have been reported by Russian officials. 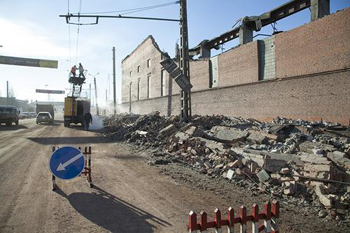 Below, a Russian zinc factory where a roof collapsed after the meteor exploded over the Chelyabinsk region. 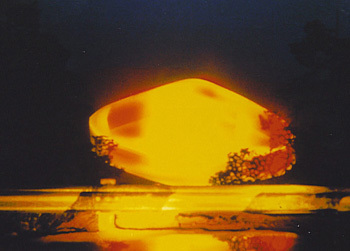 While many of us feel somewhat powerless to change the course of events with the Fukushima reactors in a physical sense, I would like to make a suggestion that any of us with the courage: please attempt to do what you can in terms of spiritual assistance, as well as sending benevolent thought-forms to Gaia, to Japan, and to the Japanese people. If you need additional inspiration, please consider reading some of the uplifting, channeled messages that I have selected, in order to center yourself in loving service to those in the region of Japan. As the public dissects the images being analyzed from the Mars Curiosity rover cameras, we will continue to add unusual images from Mars gathered over the last forty years or so from various space probe misssions. A YouTube video was uploaded on August 23, 2012 by user StephenHannardADGUK that shows three pictures purporting to be white beams of light eminating up from urban locations in Japan towards space, in straight vertical columns of light. 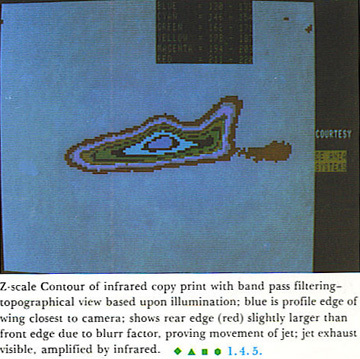 ADG has also included reversed images to assist with validation. 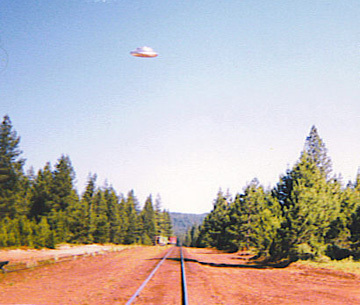 1 Why do you waste your time with this UFO research nonsense? 2 What proof is there that any of these UFOs exist? 3 Do you believe that everything is a conspiracy? 4 If extra-terrestrials exist, then why haven't I or anybody I know even seen an ET or a UFO, or had any so-called metaphysical experiences? 5 Are you trying to tell me that my religion is not real? 6 If there are extra-terrestrials that are more powerful than us, why haven't they taken us over? 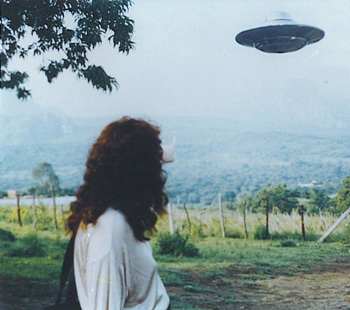 7 Why should I listen to anything a UFO contactee has to say? 8 How does any of this affect me? 9 How can I tell the difference between good information and all the dis-information and mis-information that is out there on UFOs? 10 Who is who, and what are their agendas? 11 How could I ever begin to make sense of this whole mess? 12 In hard, factual scientific terms, what is the best evidence that I can see quickly that might convince me that something really IMPORTANT is being kept secret from us? 13 What would you recommend I do if I were to see a UFO? 14 Is it our fault that we are in the middle of an E.T. conflict? 15 Let's say I wanted to make a difference: what could just one person like me possibly be able to do to help myself let alone anyone else? 16 If this stuff is true, than why isn't someone doing something about it? 17 I don't like to be afraid or to be ridiculed, so why should I get involved in any way with this UFO stuff? 18 Why would the government lie to us? 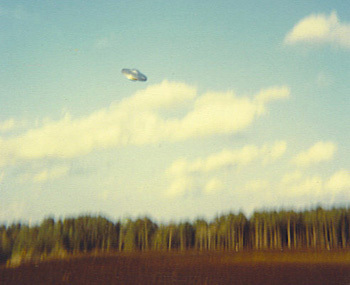 19 What if all the UFO cases turn out to be hoaxes? 20 I feel powerless to do anything, so what can be done if this phenomena is really that pervasive? 21 If the government is withholding all the best information for their own secret purposes, then how can we figure out what is really going on without that evidence? 22 What if I just really, really, really, REALLY don't like UFOs?! 23 I've met a few people who talk about UFOs, and they seem a little unbalanced, even obsessive: are they safe to be around? 24 I know the government keeps records of every internet page that anybody ever watches, so am I safe if I read this information, or are they going to spy on me with the NSA and Patriot Act Two? 25 Okay, I believe it probably is real, but I just do NOT want to KNOW, because it is not safe and it's not fun. Really, why would anyone care about UFOs when they could be dancing or partying instead? 26 What's in it for me if I keep reading this website? Even though the odds seem horribly stacked against UFO researchers, I honestly feel that the pursuit of the true nature of our reality here on Earth is worth all the time I have spent in this massive inquiry. I admit that the amount of time spent in reading, cross-referencing, indexing, and then formulating hypotheses adds up, and those hours, days, weeks, months, and years pass by without gaining true satisfaction. Finding firm resolutions to the many UFO-related enigmas are especially difficult since most of the roadblocks have been constructed by our own governments across the world, governments that have been created by human beings and which can be modified by human beings to suit our present and changing needs. 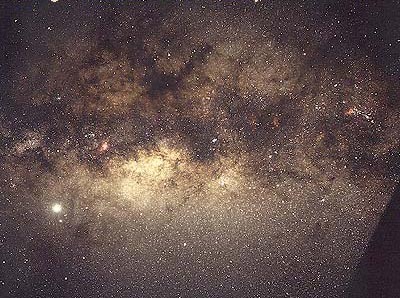 Human lives are short: eighty or ninety years if we are lucky, and this cosmic puzzle has been unfolding before our eyes and the eyes of our ancestors long before any of us here now were born. 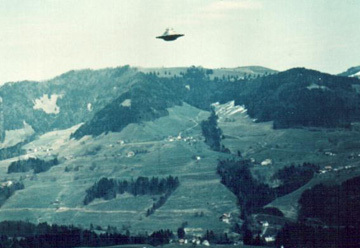 Whether or not we live in a so-called democracy, or a fascist state, or under communism or oligarchies, our leaders have always denied us any hope of knowing the truth about the UFO phenomena and the interactions between the occupants of the UFOs which they claim do not exist, despite the evidence and protest of their citizens. There are considerably giant disconnects between our governments and the people whom they are supposed to represent. So whom are our governments really representing? I have wanted to understand the truth about the nature of contact between humans and the UFO occupants for many years now. I feel I would have understood the truth of this reality many years ago without all the time I have had to spend if only our government here in the United States had been honest and forthcoming about all the information it has been holding in secret from us in regard to the UFO phenomena. That in a nutshell is why I have had to waste so much of my time trying like many others to put the pieces together without all of the best evidence available to humanity, since that evidence is closely guarded by our so-called governments. 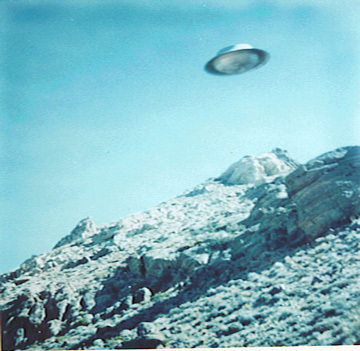 Some people are easily frustrated by ridicule, fear, and denial, and they let the pursuit of the truth fall along the side of the road to be trampled on and mocked and derided, even while many of us see the truth of the existence of UFO occupants as self-evident based on the hundreds of thousands of sightings and testimonies. 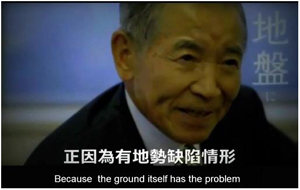 If courts and judges were really impartial, and the UFO phenomena was a case in court, the plaintiffs/average citizens would have already long ago won a crushing victory for truth against the defendants/our governments. Even while our governments and their systems have become so morally bankrupt and corrupt, we must simply step outside of their box in our pursuit of the truth, and allow ourselves to accept the truth of the evidence despite the strongest denials of our own leaders and governments. Fortunately, there have always been millions of people uncomfortable with simply accepting the doctrines and decrees of our leaders and rulers that we are alone in the universe. Despite all evidence to the contrary, these leaders who are extremely wealthy and powerful tell us over and over again that humanity is not being visited by other sentient beings, nor, do they say, we have ever been visited by other sentient beings. For me, and for growing numbers of my fellow human beings, this simply does not ring true with all the evidence before us. When we look back and completely start over looking at our history, and look now at our present time with an open mind, we can see all the attempts of humanity to wake ourselves up. I feel that it is time to hear the truth about our relation to the rest of the universe, and that is why I continue to "waste my time with all this UFO research nonsense." written in the works of individuals who have gathered and researched this crucial subject exhaustively, and if you have never encountered any of this UFO information in film, television, or print media, then you are either a statistical anomoly, or purposely avoiding this UFO material. If several of us all see the same thing at the same time for a prolonged period, then we all would probably as a group accept that what we actually saw really existed. If hundreds of us saw UFOs at the same time for prolonged periods, then we would probably as a society accept that what the hundreds actually saw really existed. Such should be the case for the "mass sightings" or "flaps" in Texas between 1897 and 1899 of giant cigar-shaped UFO craft. However, the evidence begins to mount substantially during Workl War II, when groups of pilots and military personnel began to come back to their commanders with accounts of fireballs or "foo fighters" that kept pace with their aircraft and sometimes interacted with their aircraft. draconian ways shortly after World War II, but the mass sightings were to continue, and one of the most celebrated mass sightings took place in July 29, 1952 in Washington, D.C. as a fleet of UFOs flew over the Capitol for six consecutive hours, and were photographed and reported in newspapers across the United States. You would think that this would finally permeate the collective consciousness of humanity, but governments, even in the face of this kind of evidence, insisted that UFOs were not real, and like an uncontrollable child throwing a tantrum, kept shouting "Deny! Deny! Deny!" until a weary population weakened and let the subject be dismissed. The stonewalling may have quelled the protests for disclosure by the population, but it did not even begin to quell the mass sightings and flaps. 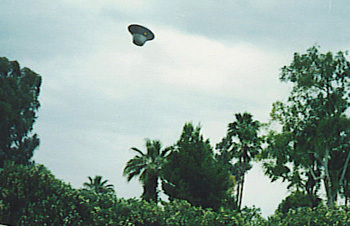 Evidence of such were the Davis-Monathan AFB mass sighting in Tucson, Arizona in the early 1970s; the Gulf Breeze, Florida , and the Hudson Valley, New York and the Belgium mass sightings of the early 1990s, all of which were accompanied by photographic evidence and sworn testimony. 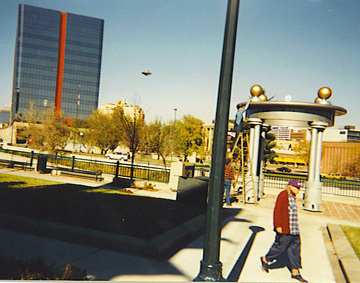 During the Mexico City solar eclipse of 1995, more than twenty five families from points all over Mexico City captured the same UFO on their cameras from different angles, and still our governments deny the existence of alien spacecraft. thousands of U.S. citizens, videotaped and photographed from all angles, seen by police, medical and legal professionals, commercial pilots, air traffic controllers, and yet still the government denied their existence. 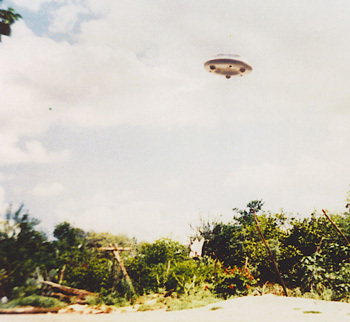 In 2004 in Africa, over sixty school children witnessed a UFO land and its occupants exit the UFO. 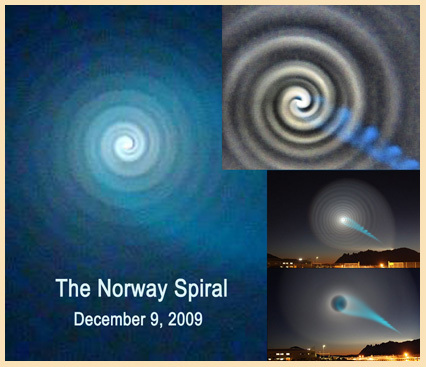 The children all drew and reported exactly the same accounts, but you probably did not hear about that mass sighting either, because most corporate news agencies, beholden to their governments, did not report these events to the population at large. 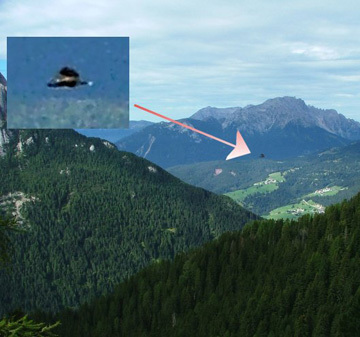 Mass sightings and flaps can be understood through the accumulation of circumstantial evidence, because in cases of this kind the physical beings or their spacecraft are not left behind as hard evidence to be examined. What remains are photographs, drawings, landing marks, videotape footage, and the sworn testimony of scores or hundreds or thousands of eyewitnesses. In regard to this evidence, "The Evidence Handbook," offers this metric: "Proof of a significant set of circumstances often produces belief beyond a reasonable doubt... even in the absence of direct proof of the ultimate fact." Continuing, the Handbook says, "Actually, circumstantial evidence, contrary to public belief, is capable of producing at least as high a degree of certainty as that arising from direct proof." Furthermore, "In such cases, all facts tending to throw light upon the matter and which tend to establish a chain of circumstantial evidence in respect to the act charged, are admissable. The only requirement is that they afford the basis of a logical inference relative to the issue and supply a 'link in the chain'." The logical inferences relative to the many mass sightings and the consistent official denial by governement are evidence that: (1) Sufficient circumstantial EVIDENCE DOES EXIST to prove that Earth is co-occupied and/or frequently visited by beings who are intelligent enough to create spacecraft, and who may not originate from Earth; and that (2) Our governments have been purposely and willfully WITHHOLDING THE FACTS and evidence that they possess, even if controlled by small clandestine groups which may or may not be known to our "elected" officials, and that government and military actions regularly and systematically impede the truth about what some select members of our "leadership" know about UFOs from reaching the general population as a whole, and that this secret knowledge could be and may have already been used against the population as a whole in terms of security, well-being, and advancement of science for the benefit of all humanity. Not everything. Most things. But not everything. link between the Jonestown massacre in Guyana and the C.I.A. WMD (Weapons of Mass Destruction) accusations, both leading to U.S.
the first years of the new millennium. in those companies in advance of the release of these "new developments,"
having been developed originally on Earth at all. And the list goes on and on and on. As some conspiracies are finally uncovered, many more are being hatched because we have allowed the super-wealthy and the super-powerful to hijack and purchase our governments and our laws, and through our apathy, we have given them the power to manipulate us, and victimize us. When will we act and begin to take back the power to govern ourselves that we have abdicated for so very long? And when will the trials begin for these powerful elite who have stolen our hard work through taxation and inflated pricing and absurd debt and no-bid contracts and the like? televised command , and their unconstitutional edicts like the Patriot Acts One and Two? 4 If extra-terrestrials exist, then why haven't I or anybody I know ever seen an ET or a UFO, or had any so-called metaphysical experiences? 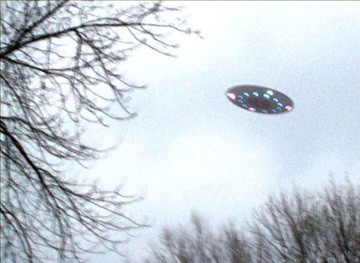 Actually, there is a very good chance you or someone you know has seen a UFO or had a metaphysical experience, but one typical response to UFO sightings or an unusual, even paranormal experience, is self-censorship and silence about such unusual events for fear of ridicule, and fear that other people may question your sanity. This does not change the fact that the sighting or metaphysical experience occurred, but succumbing to fear of probation by one's peers keeps the vast majority of these types of events unreported. Statistically, numerous polls over the last several decades (with error ranges of + or - 3%) tend to record that between 10% to 14% of human beings have seen an unidentified flying object., which indicates between thirty to forty million people in the United States alone have seen a UFO. 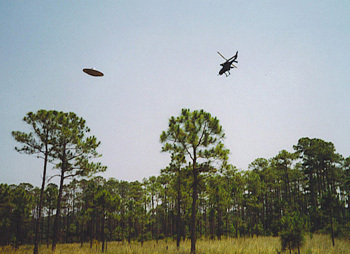 and (d) most recently the AP poll of October 2007 which reported 14% of USA residents have seen a UFO. Clearly, though, many people are concerned about publicly proclaiming that they have seen a UFO, so these statistics may be even higher than reported, by those who fear ridicule. 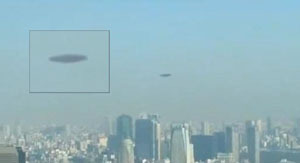 With more video and camera technology available to people including phones with cameras, many more very clear and un-retouched photos and videotape captures of UFOs have been shared over the internet through websites and video-sharing services like YouTube that indicate that the UFO phenomenon clearly has a factual basis in reality. 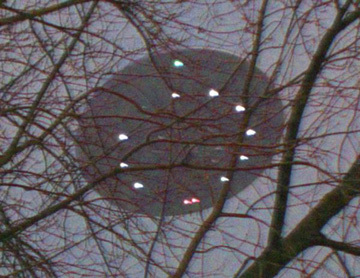 These unexplained images of vehicles indicate that some intelligent beings are behind the design and construction of these spacecraft flying in our skies. Those people who have seen UFOs represent all varieties of viewpoints, job titles, and beliefs, yet those many millions of people share in common their assertion of having seen a UFO. Those people who have claimed to see an alien lifeform or ET are much more rare, and include UFO abductees and contactees. 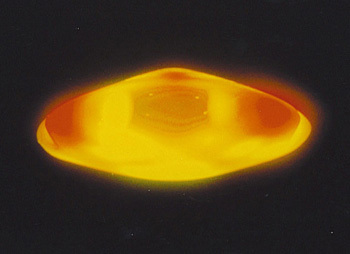 There reports are often much more vivid and sensational, yet based on the evidence of UFO reports of 10-14% of the total population, it is scientifically prudent to suggest that many of these more rare reports of contact or abduction do very much merit much deeper and sincere investigation efforts by all our scientific communities, as well as the need for research and contemplation by everyday people.